Verizon Wireless has launched the highly-anticipated BlackBerry Bold 9650 smartphone, which the company claims as its first global-ready smartphone to support GlobalAccess Connect for enabling the Bold 9650 to perform as a wireless modem for notebook/netbook Internet access, including an array of VZ services such as VZ Navigator version 6 and VZ Navigator Global capabilities. 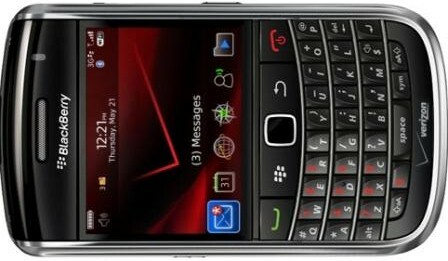 In addition, BlackBerry Bold 9650 is featured with 2.45-inch display, 3.2MP camera, optical trackpad, Push to Talk, full HTML Web browser, GPS, Wi-Fi, icroSD memory card slot and more multimedia capabilities. With the powerful 1400 mAhr battery, the BlackBerry Bold 9650 can support up to 5 hours of CDMA talk time. The new stylish BlackBerry Bold 9650 smartphone is now available online at www.verizonwireless.com, and slated to be available in Verizon Wireless Communications Stores starting June 10 for $149.99, after a $100 mail-in rebate with a new 2-year service contract.